President Obama announced a Precision Medicine Initiative that calls for a $215 million investment in research, development and innovation in areas that directly impact basic cancer research happening here at the Winship Cancer Institute of Emory University in Atlanta. The President spoke extensively about the value of genetic testing, specifically proposing $70 million be allocated to the National Cancer Institute (NCI) to boost efforts to identify genomic drivers in cancer and translate that knowledge into cancer treatments. 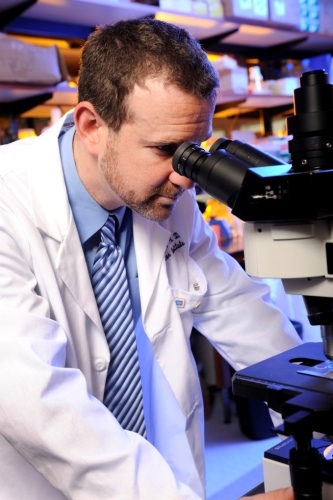 "Winship is a central place where the principles of precision medicine are being explored via lab research, clinical trials and translational research," says Walter J. Curran, Jr., MD, executive director of the Winship Cancer Institute. "Our expertise in this realm is deep and extends to many types of cancer." Several NCI-funded precision medicine trials are currently active at Winship. Suresh Ramalingam, MD, professor of hematology and medical oncology, is leading Winship in the Adjuvant Lung Cancer Enrichment Marker Identification and Sequencing Trials (ALCHEMIST) that will help determine if drugs targeted at certain genetic changes will lead to better survival for some patients with early-stage lung cancer. Targeted therapies are currently used at Winship for lung cancer and other solid tumors, as well as multiple myeloma and other blood cancers.